Staysure speaks to specialist nurse Ali Rooke at Prostate Cancer UK, to see what challenges men face when travelling with this condition. It’s a disease that affects around 1 in 8 British men at some stage in their lives. Older men, men with a family history of prostate cancer and black males are most at risk, according to the charity Prostate Cancer UK. What’s more, it tends to affect men over the age of 50, with the average age of diagnosis falling between the ages of 70 and 74. 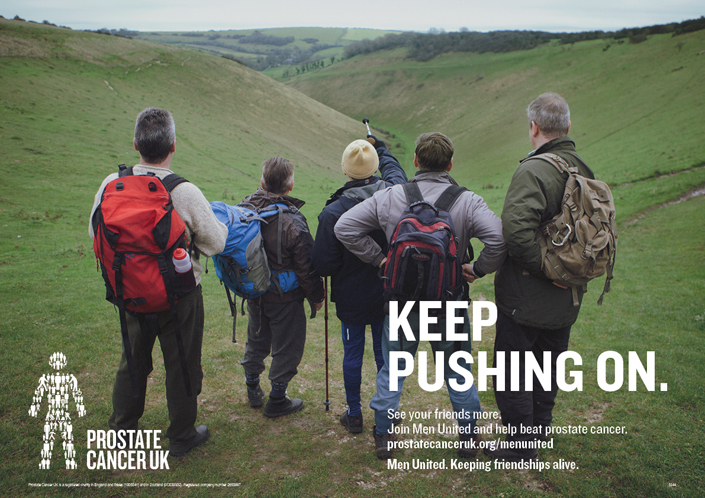 People up and down the country are signing up to Prostate Cancer UK’s ‘Men United’ campaign – a movement for everyone who believes men are worth fighting for. People are being encouraged to do something together with their friends, to help beat prostate cancer. To coincide with Men United, Staysure spoke to one of the charity’s specialist nurses who are on hand to answer questions from men and their partners who have queries about the disease. Ali Rooke, 40, is one of 12 specialist nurses who are based in London at the charity’s headquarters, and has been working there for five years. We caught up with her to see what men with prostate cancer should be aware of when travelling or booking holidays. 1. 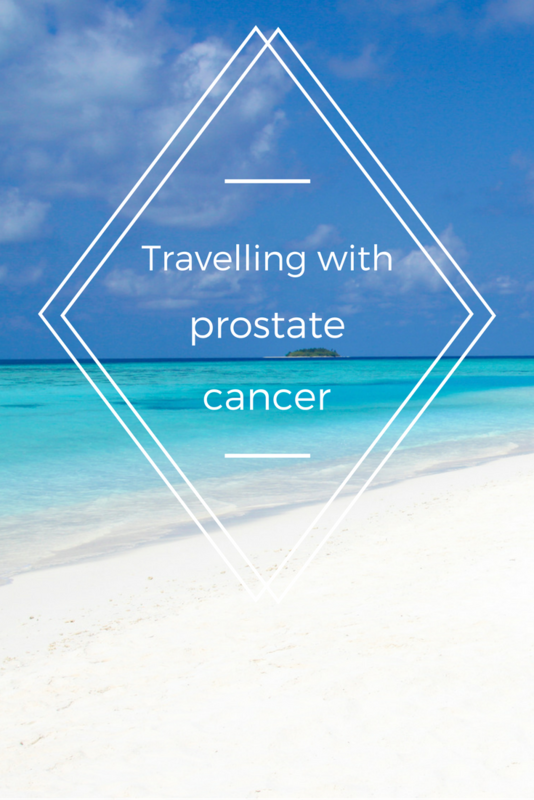 What are the common concerns for people travelling with prostate cancer for the first time? To be honest we get a lot of calls about travel insurance. We get calls from men and their partners as their previous company has refused to cover them following their diagnosis, or their premium has gone through the roof and now outweighs the cost of their holiday. They are looking for something more competitive and a company that understands prostate cancer and the treatments. 2. What is the most important advice for people travelling with prostate cancer for the first time? One of the first things we say to people is that it’s always best to talk to their doctor, GP or specialist nurse before travelling. If they are still under the care of the hospital there may be an issue around treatment. In relation to surgery, they will need to check with the surgeon or the hospital when they will be allowed to fly, that is, if they want to travel relatively soon after treatment. If people are on particular medication for their prostate cancer there may be an issue for them to travel. They should look at getting a doctor’s letter as there may be restrictions around certain countries with regards to some types of pain killers they could be taking. It’s really important that they have a covering letter from their doctor so that when they are travelling they are not held up by restrictions in that country. It’s also really important that they write the names of their medication down in case there is an issue or they lose any. If you write a list you can give that information to a doctor if there is an issue. We would also suggest that men look at the airline’s policy about transporting prescription medication, as there may be issues around what you can have in your hand luggage. So again it’s about checking with that airline before they fly and having a doctor’s letter with them. Also, they have to transport that medication in a safe way, keeping medicines in a labelled container. 3. Are there any precautions people should take before booking a holiday? It’s a tricky one as when men are diagnosed and have had their treatment, and are going through the recovery, some may feel remarkably well and do not feel like they have just been diagnosed with cancer but it’s important to to have a list of all their treatment to hand. This is particularly important for men who have had brachytherapy (a localised prostate cancer treatment involving radioactive seeds placed in the prostate gland), as it can set off airport radiation sensors. It’s a common treatment for localised disease but there’s a period when they have to avoid young children and pregnant women. They normally get a traceability card from their doctor that refers to the “seeds” they have in their prostate. This card has an ID number that gives information to the airport that says they are able to travel. They should carry that card with them at all times. And the other thing is that having cancer increases your risk of getting a blood clot. If they have had chemotherapy, hormone therapy or surgery they may want to take further precautions, especially if they are going on a long-haul flight. Some of them may need to buy compression socks if their doctor recommends it. Another precaution is wheelchair access at the airport or where you are travelling to. It’s important to look into these things before you travel, so you take the stress out of travelling. Some of the treatments for prostate cancer, particularly surgery, may leave men with urinary incontinence. So this may mean they need to use pads or in some cases they may have a catheter fitted. Here it’s about making sure they have enough pads in their hand luggage, so if their suitcase gets lost, they still have some to hand. Some men may need to take a spare catheter or drainage bag and again they may need a certificate to say this is what it is used for. This is important if you’re coming through customs as they might search you – they are quite strict at airports now. Not necessarily, no. As far as we are aware there are no restrictions as to where you should and should not travel to. Sometimes when people have had treatment or are going through treatment for prostate cancer, they might not appreciate how tired they are going to be and so again it’s important that people take extra care with regards to their health. Even for the fittest person there’s going to be a lot of lifting of suitcases, for example. So for someone who has had some treatment they may get extra tired. Generally they should keep cool and avoid any extreme temperatures. It’s also important that people drink plenty of water, we recommend two litres of fluid a day and to avoid alcoholic drinks. If someone has had external beam radiotherapy (EBRT) sometimes the skin becomes very sensitive around the area. So if they are going somewhere hot and warm we would say use strong sun cream and avoid the strongest hours of sunlight. 5. How long can men go away for with prostate cancer? There are not really any restrictions. As long as they are going away with all their medication, there are no medical restrictions. 6. Are there any activities that men with prostate cancer should avoid while on holiday? Generally speaking, no. But there are some men with advanced prostate cancer that has spread to the bones, so in that particular situation they would want to avoid any activity that might put a strain on the bones. But I think most people would be quite mindful about what activities they would take part in anyway. The last thing they want to do is become unwell while they are away, so most people would try their best to look after themselves and avoid activities that might put them in a vulnerable situation. 7. Does prostate cancer restrict people enjoying their holidays? I think there are some issues, in particular about treatments that weaken the immune system such as chemotherapy. These people genuinely want to avoid getting an infection and so they really want to make sure they have clean water and boil water that they are unsure about. Make sure any food is properly cooked and avoid things that could be infected, like only eating fruit that they have to peel to eat, such as bananas, to avoid any cross contamination. Also, avoid food from a market environment on stalls or street food and ice in drinks. They don’t want to weaken their immune systems even more and this generally applies to people having chemotherapy. 8. Do you have any words of reassurance for people with prostate cancer who are thinking about going on holiday? If you’ve planned well for your trip then that takes the stress out of travelling and hopefully you’ve got everything in place such as equipment and medication, so that if there is an issue it’s easy to access. It’s about always managing your travelling in a way that takes the anxiety out of it. They need to ask themselves “in order to make this a great trip, what do I need to think about while I’m away?” If you feel that you have ticked all the boxes and you have bought travel insurance that covers your medical conditions fully, then you have covered every eventuality. Because prostate cancer is more common in men over 50 we are speaking to an older population and some may be retired or facing retirement. So for many of them it’s all about looking beyond the diagnosis and putting it behind them as they want to enjoy retirement and go and see friends and family overseas. Many with prostate cancer still want to enjoy a good quality of life and for some that involves travel, which is generally a happy time. Doctor’s Note – always get the green light from your doctor before booking anything. Be Honest with Yourself – people generally think a holiday is great, but more important is how you feel within yourself? Do you feel physically fit and well enough to go away? It’s about being honest with yourself. Medicines – if someone is on strong painkillers there may be restrictions, check with airlines and the country you are visiting. Keep some in your hand luggage in case your suitcase goes missing. Medical Equipment – it’s your responsibility to make sure you have enough of everything while you are away. Information – carry information about your condition and the treatment that you’ve had while you’re away. This is especially important in a non-English speaking country. See your friends more. Join Men United and do something great together to help beat prostate cancer. For more information about Prostate Cancer UK visit their website or speak to one of their specialist nurses on 0800 074 8383.